Water is everywhere. Did you know that joint compounds contain between 30% and 35% water per gallon for All Purpose? 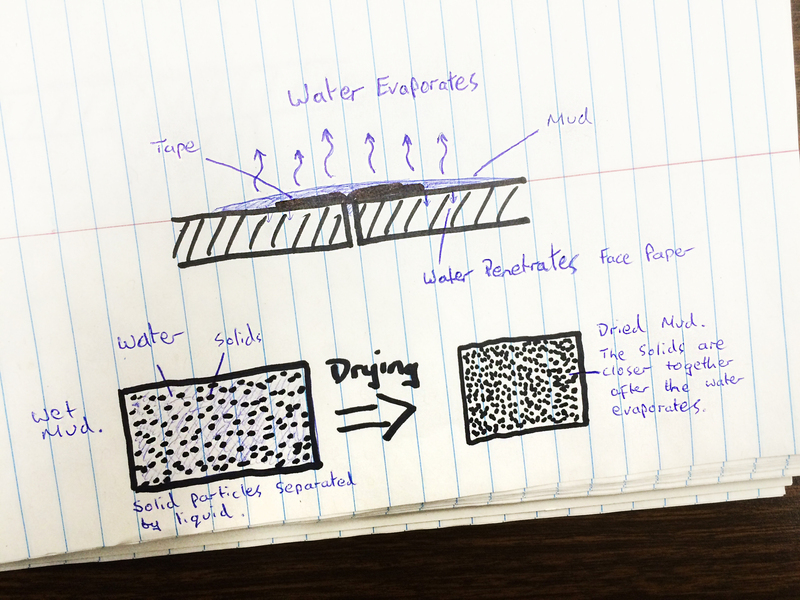 When applying joint compounds in any application it is important to consider how much water is in the air (humidity) and how that will affect the drying of the mud. What does humidity do to joint compounds? In short it stays wet longer. When drywall mud dries some of the liquid (mostly water) is absorbed into the wallboard and some is released into the air by evaporation. As the water evaporates from the wet material it leaves behind the solid content of the mud which forms the finished hard surface. In humid conditions the mud stays wet longer and will absorb into the face paper of the gypsum wallboard more. When the face paper absorbs water it swells and can cause separation of the face paper from the core, leading to problems with cracking or flashing of joints. 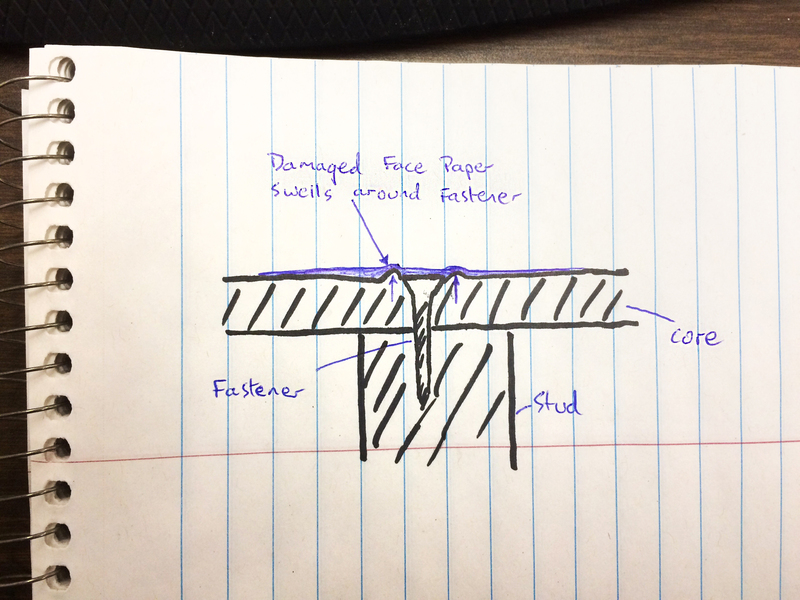 This problem is made even worse around fasteners as the fastener can tear the face paper allowing more water to penetrate, this leads to a “halo” effect around the fastener. Humidity is only part of the problem. Drying conditions will vary based on temperature and humidity, this is a topic that is covered in a publication by the Drywall Finishing Council, Joint Compound Drying Times: The Impact of Environmental Conditions. In this publication you can see that ideal drying conditions are above 70F and below 40% relative humidity.